What is an Empath? Could you be empathic yourself? Empaths have the gift of FEELING and Perceiving other’s emotions and energy intuitively. An Empath just knows things about other’s without having to try. They FEEL the world energetically. Empathic humans can FEEL when they are being lied to; it will be difficult to mislead an empath because they can sense your intentions immediately. Because of this built in truth detector, an empath may feel frustration at times with the humans around them that have a conditioning of lying. An empath can FEEL everything around them and often will take on other’s energies and emotions unconsciously. This can lead to frustration, anxiety and often depression. It is very important for empaths to learn how to stay grounded in their own power. It will serve an empath to work with a highly trained empathic healer to learn important ways to ground and clear away other’s energies. This is my gift and my soul’s highest purpose as an intuitive empathic healer and Soul Coach is to assist sensitive souls (the empathic souls) in maintaining their own healthy boundaries, vibration and staying centered in their power. Many empaths can absorb others energies to the point of taking on aches, pains and feeling exhaustion. They will often feel sensitive to environmental energies and large crowded spaces can feel overwhelming to an untrained empath. It is vital for an empath to set clear intentions before entering crowded spaces to expand one’s own Auric field and do what I refer to as “bubble up” meaning to set the intention to shield oneself and only allow the others energies to touch you. 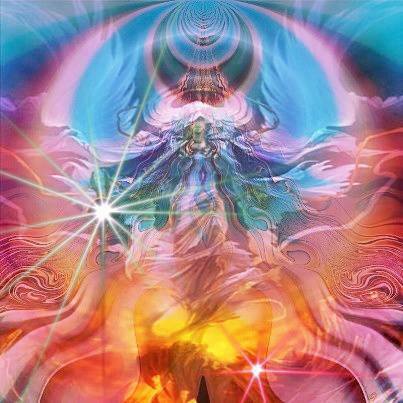 By this I am stating that I am shielded from others lower vibrational energies, and that the energy may touch me to tell me about itself and then must be returned. This has helped me stay grounded, centered and sane as an empath. For much of my life I felt it all and it was overwhelming and exhausting. I learned through trial and error how to protect my sensitive soul and to learn from the energies and observe them rather than absorbing them as I used to do as a child. This shift and awareness has made all the difference for my health and happiness. Now it is my passion to serve and assist others with the wisdom I have gained. Moving through the world as an empath is an amazing and powerful experience and I feel my empathy is a true strength and gift. Yet for much of my life this gift felt like a curse before I understood it and how to take care of myself as a sensitive and aware soul. Many empaths have been labeled and called names, told they were “too sensitive” or “You’re such a freak”. To an empath being sensitive is our gift and our strength and we read the world through our energy and our feelings. We literally FEEL everything and this is the language that speaks to our very souls. Therefore to a human that does not have this gift of empathy we will seem strange and weak, sensitive and freakish. It is important for an empath to know thyself and to be aware of one’s own emotions and stay centered and grounded. An ungrounded empath will experience great suffering and confusion. Many empaths are led to become healers and assist humans and animals that will benefit from the empaths care and deep awareness. Empaths love to give and assist others. It is what makes us feel most alive. An empath often will give and give with little need for recognition or reward because it is in our very wiring to assist and show great compassion to those in need. Therefore empaths must stay grounded and aware of those who may wish to take advantage of this love and compassion. Empaths are deeply affected by negativity and lower vibrations. Therefore it is essential for empaths to be mindful of the types of close relationships they allow in their auric field space, as well as the environments they hang out in. An empath will feel the disruptive energies; they will feel the chaos and the crazy energies of certain environments. An example for myself, hanging out in a loud crowded bar with a bunch of drunk humans is very uncomfortable for me. To many they see a crowd of humans having a good time. For me, I feel a roomful of very sad, lost and confused humans that are suffering and it is the opposite of fun. Therefore being mindful of the environments one is a part of is very important to an empath since we feel it all. As an empath I can often sense things before they happen, such as natural disasters and lower vibrational events, as well as surprises. I have told my friends and family, don’t even think about a surprise while you’re near me because I often will pick up on their intentions and know what they are up to. Same applies if others try to withhold truth from me. I can feel the misalignment in them and feel their intention to lead me astray. I have been often told I was too paranoid, too sensitive, too insecure about the very intentions I could feel with another, only to find out later confirmation that my feelings were spot on. For myself being lied to feels terrible to me physically. Being lied to fires up inside of my solar plexus and I feel the heaviness and the disruptive energy throughout my body. To have someone yelling hateful words at an empath can feel like knives stabbing inside of the empaths solar plexus or heart chakra. Hurtful hateful words are energy and to an empath those words cut deeply. It is so important for the empath to remove oneself from that situation immediately and to shield up or “bubble up” right away releasing the energy from one’s own auric field and physical body. 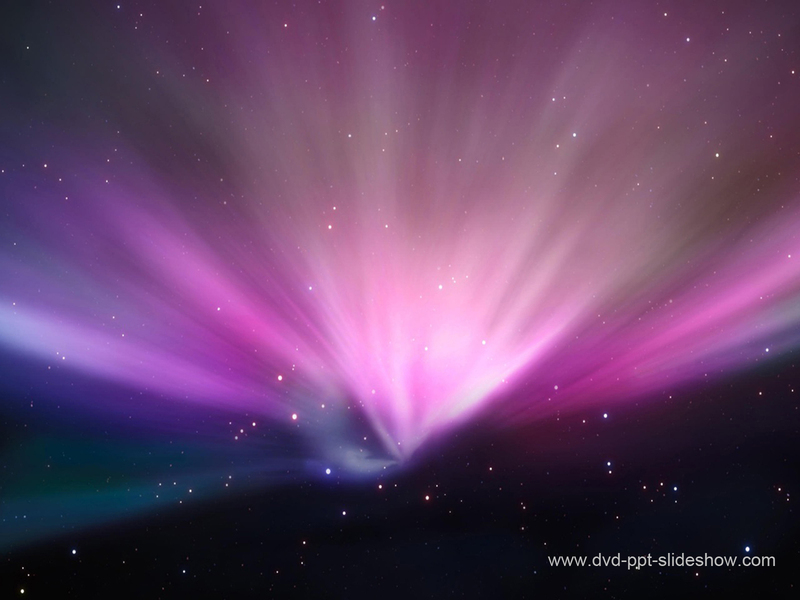 Visualize the energy like an arrow releasing from your own energy and returning to the sender. Allow the strength of your auric shield to deflect this energy immediately. Many Indigo souls are empathic as well as highly intelligent and sensitive. Again this sensitivity can be cultivated and fine tuned into a powerful gift with consistent awareness and mindfulness. Indigo children are just wired differently. They were not created to conform or follow blindly. To an empathic aware soul, alignment is the most important focus in all areas of one’s life. A sensitive soul such as this was not created to follow misaligned rules or structures. Therefore it is important for parents of these sensitive souls to learn from their children and to support their emotional growth. It is important that adults do not shame and try to put these sensitive souls into boxes and label them as ADD or ADHD or Hyperactive. Often these souls are being drugged and abused by the ones who are meant to show care for them. Putting these sensitive souls on numbing drugs cuts them off from their Source and causes deep depression and disruptive behaviors. These souls have not come to this planet to be numbed or controlled and labeled. They are aware amazing sensitive souls that if nurtured and cared for properly can thrive and assist as powerful healers, teachers and guides. It is necessary that we support them and guide them with compassion. Empaths can often be quiet achievers and sometimes very introverted in nature. Many empaths that have not experienced genuine support during their lives can become more shy and standoffish as a way of protecting themselves. Some empaths may even be so good at blocking others energies that they themselves become shut off from Source. This can become very depressing for an empath, so it is vital that we remain in alignment and connection with Source if we wish to thrive. I myself used to be very shy and quiet and keep to myself, since being around the misalignment felt so uncomfortable to me. Yet throughout my life I had challenges that were brought to me to teach me and strengthen the empath that I am. I am now a powerful and positive leader. I took many steps along my path to become the woman and powerful soul that I am today. I am here to show you that you can shift and step into your power and that when you do absolute miracles will become your normal experience. Empaths are often highly expressive and creative souls. Any artistic hobbies and careers can be very enjoyable for an empath. Empaths are amazing actors, healers, teacher and artists. Often an empath just knows things and can be very blunt and open with what they know and are feeling. Sometimes humans without this heightened awareness can feel intimidated and resentful when the truth is delivered, as I have learned many misaligned humans love their illusions. To an empath living in a life of illusion and mistruth simply does not make sense. As empaths, we are always searching for deeper truth and alignment. For the most part empaths are peace keepers and prefer non violent, non aggressive environments and friends. For empaths, environments of violence and constant tension will be toxic and very draining. Most empaths would do just about anything to maintain their inner peace. Often they are great mentors and counselors that will quickly find the solution and assist in settling tension. Empaths must be mindful that they do not become afraid of facing tension, as this behavior often amplifies the issue if we are avoiding problems rather than face them. It is important that empathic humans find healthy ways to release their strong emotions. Allowing these emotions and energies to build up for too long can become very paralyzing or violent. So finding healthy ways to shake off and release others energies is very important to a happy stress free life. For many empaths, simply expressing and talking about their feelings is very healing and helpful in releasing and clearing the energy. It is vital that an empath find a trusted teacher, healer or aligned friend that they can trust who is also empathic and caring. Empaths thrive with other caring empaths. We just understand each other and having others around that speak our language and get us…it just feels good! Empaths must stay mindful and aware of their need to release energy and to express themselves freely. For those withholding their true feelings and bottling up their emotions can be very detrimental to one’s health and well-being, often leading to more serious mental and physical illnesses. Finding creative ways to express can be beneficial as well as enjoyable for all empaths. Writing, singing, poetry, acting and painting can all be powerful ways for an empath to release deep emotions that they often are unaware of within themselves. 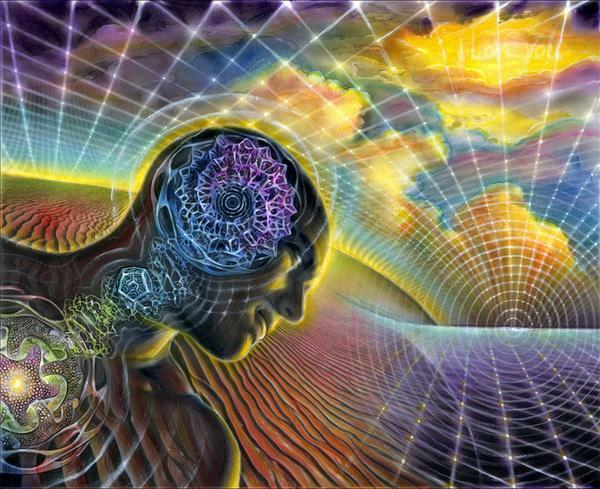 Empaths are often highly intelligent keepers of higher dimensional knowledge. It is very common for a highly aware and awakened empath to astral travel, remote view, and delve into higher conscious dimensional spaces often gathering higher wisdom and returning with this knowledge to share with humanity. 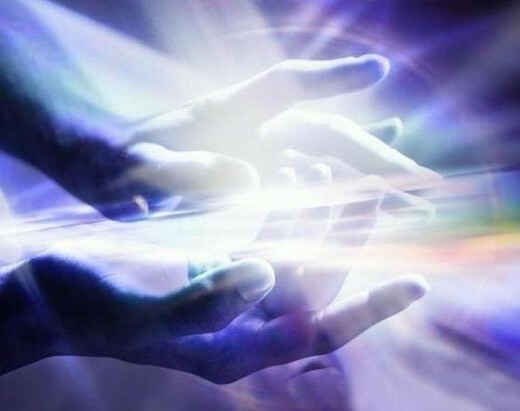 Many empowered empaths are summoned into service with global healing, assisting during dream state or awakened states. They often access the Akashic records without even trying or being aware of the fact they are accessing these places. Aware empaths are open and receptive to higher consciousness flowing in at all times. We understand the ease of allowing and releasing any need to Make anything happen. We simply allow. As we allow, our natural and infinite gifts align for our highest well-being as well as for the highest well-being of others. Empathic beings Love to get lost in music and they can literally FEEL all the emotions within the music. Therefore an empath can often listen to one style of music and shift their energy. It would be wise for an empath to be mindful of the energy in the music they are listening to and how it is affecting them. I personally love to listen to a wide range of music depending upon my intention. I love listening to nature sounds or soft music without any lyrics while meditating, as this music is very emotionally soothing for me. Empaths are great listeners and may find that people as well as animals are often drawn to them. Humans and animals can feel a deep intuition in whom they can open up to and trust. Therefore empaths may often find they attract those who need to vent or release emotions. Here is where it is vital that one remain aligned, centered and observe rather than absorb these suffering souls energies. 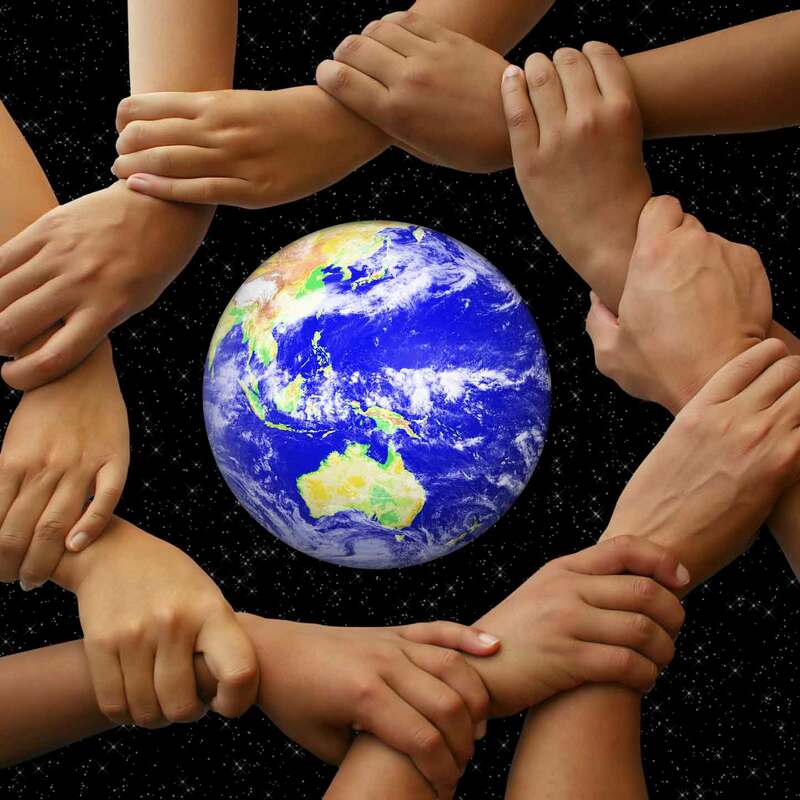 When we lose our alignment we begin to take on others energies. This can be exhausting, stressful and without awareness in realigning our own energy, can result in physical illness. It is so important that we each know ourselves, know when we are feeling the intuition to pull away from a phone call, in personal discussions or removing ourselves from a relationship or environment. Empaths are often givers and they love to give and giving is a beautiful gesture. However an empath must learn to balance their giving with receiving. They must be aware that they are giving in alignment and not giving to BE enough. Many empaths struggle with feeling Okay amongst those who are not as sensitive and aware. Often these humans can feel drained and in need of nurturing themselves, therefore they may find themselves giving to others out of alignment to be accepted. Give from your hearts space of knowing rather than giving to belong. Empaths must stay aware of how they are feeling within themselves; if we do not know our own energy we can mistake another’s energy as our own. I recommend daily meditation for everyone and especially an empathic human. As we meditate daily we allow ourselves to reconnect with our Source and recharge as well as release unnecessary energies we may have picked up from others unconsciously. An empath can feel wonderful one moment and approach a group of humans that are in a lower vibration and within seconds feel “off” and their mood may shift suddenly without notice. I myself have experienced this where I am feeling awesome and at ease, only to suddenly come near a human who is out of alignment and projecting. Sometimes these humans are tricky because they are appearing happy, yet I can FEEL them and they may be smiling but their energy is telling me they are anything but happy at that moment. Suddenly I may feel tension in my body and I may feel a wave of anxiety or sadness or anger flow through me. In these situations I quickly take a deep breath to center myself and I check in. I ask myself what is this energy? Where did it come from? Why am I suddenly feeling anxiety? As I listen, my intuition will tell me exactly where this energy has come from. 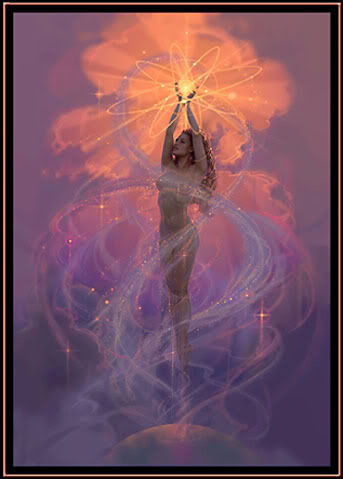 I then take another deep breath and release this energy and send it back to where it came with some loving energy. Often if I know the person (for example my Fiancée or child) I will ask them “How are you feeling?” “Is everything okay?” I then listen and allow them to express their emotion and I observe and set the intention that I do not absorb. This one shift is a very important and powerful tool for every empath. Coming back to a space of empathic Love is essential for the health and well-being of an empath. A simple conversation of deep listening and eye contact without any judgment or projections can help ease an empath back into their alignment very quickly. It is very painful for an empath to be in close intimate relationships with a human that shows no empathy. I caution any of you who are aware of your empathic nature to align yourselves with relationships with humans showing little or no compassion or empathy. This one important choice can protect your sensitive soul and assist you in cultivating loving and caring relationships. However choosing harsh environments and unloving relationships will also offer an empath great lessons and assistance along their life journey…as it is all teaching us. Empaths are often vivid dreamers and with some practice, can use their dreams as a powerful guidance for their waking dream. 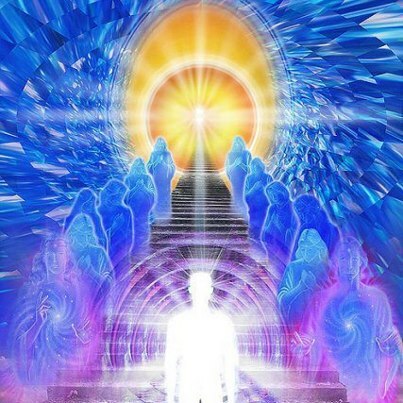 Empaths often gather higher conscious information while in dream state accessing higher dimensions, connecting with angels, ascended masters, loved ones and even the planet itself. I have had so many lucid and vivid dreams and I find that vey often my dreams are bringing me signs and symbols as well as often literal messages from my higher consciousness. Keeping a dream journal can be a powerful tool in assisting you with deeper meaning in your waking dream. A powerful exercise before bedtime is to connect with your angels and guides by setting the intention to do so and then thank them for bringing you guidance or answers to your life questions in your dream time. As you awaken, immediately journal your dream and recall and observe the patterns or signs you are receiving. I often receive very important messages from my spirit guides, animal guides, loved ones, as well as many angels during my sleeping and my waking dream. Start paying attention and you will discover how magical life truly is when we are aligned and aware. You will begin to SEE beautiful synchronicities arrive to lovingly guide you. An empath must, must, must have solitude and alone time. I have learned how important this one aspect of alignment is to my well-being and mental sanity. I highly encourage you to take time each day for quiet uninterrupted alone time. Your very sanity could depend on this one shift. Being empathic we must be alone with nature to release and then open up and receive all the wisdom, energy and guidance nature has to share with us in the stillness. When I have neglected this one thing, I suffer quickly. Personally I have noticed if I am around even the family I love and adore too much, I feel drained. I Love myself and have cultivated the commitment to honor my need for daily quiet meditation time, exercise and alone time in nature just me and the trees…this commitment serves me so powerfully. In fact before any writings, my internet show, working with my healing clients or teaching healing workshops I will make sure I have time and space to BE in quiet meditation in my room or a quiet walk in nature Listening. Empaths Love adventure and learning new things, therefore following ones bliss will be so important for an empaths happiness. An empath will NOT enjoy doing things that don’t feel authentic. It is hard for us to do anything that is out of alignment with our soul’s knowing. Here we come to see why so many empaths are suffering on the planet at this time. Many are not listening to or honoring their souls calling, I was there for most of my life. I felt pressure to blend in, though I never felt I could blend. I felt pressure to please others, though pleasing others out of alignment with my own truth felt terrible for me. I have observed how many betray themselves daily. It has become not only what we think of as normal as a society but it’s celebrated. This is insanity and the insanity will greatly affect an empaths happiness if ignored. So I will just say it, “If your desire to be happy throughout your life…Make the commitment to BE True to You!” This commitment will serve not only yourself and assist you in maintaining your alignment, it will also serve others that your life will touch and affect in positive and powerful ways. Do NOT underestimate the importance of your living in alignment and listening to and honoring your Soul’s highest mission. It is TIME! You are a beautiful person. Thank you for this. A neat and short ebook about crushing internal resistance to ourselves.